The Youth I.D.E.A.S. 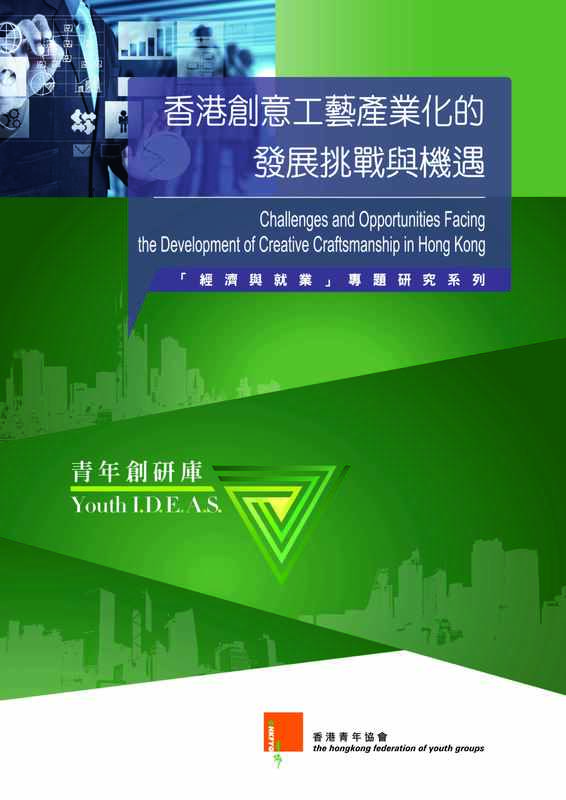 (established by HKFYG Youth Research Centre) has released its study on “Challenges and Opportunities Facing the Development of Creative Craftsmanship in Hong Kong”. Data gathered from 520 Hong Kong Residents aged 18 or above showed that 28.2% thought the most disadvantage condition for craftsmanship development is the short of talents, 23.0% thought it is the short of space. Some young creative craftsman cases revealed that space is the most significant problem in craft production. There are also cases facing management and technical problems in mass production. The study recommended setting up a “Creative Craftsmanship Cluster” to support the development of Creative Craftsmanship. It also recommended the government to subsidize the use of technology and automation in advancing creative craftsmanship.